We would like to thank all friends of the Carestore for your custom and support this year! At the Carestore, we strive to provide quality care products at the best prices for you and your loved ones. We have big plans to expand and improve our website and product ranges in 2018. You can keep up to date with these new developments by signing up to our newsletter. Thank you once again for your custom in 2017 and we hope to hear more from you in 2018! 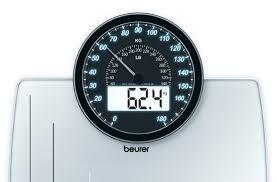 The new BEURER GS-58 digital scale combines an easy clean, stylish footplate with large digital read out and a traditional needle display. Both display backlit with a soft blue light to make reading easier. Order a GS-58 before 31.03.17 and receive a BEURER HC-25 Luxury Travel Hair Dryer Free of Charge! 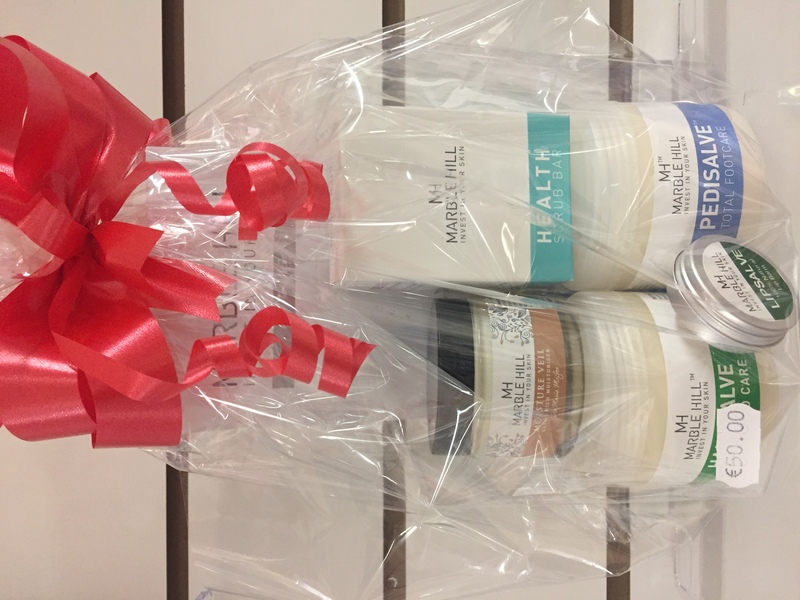 Just in time for Christmas are Marble Hill's Skincare Packs! A collection of the best sellers for face, neck, hand and foot skincare are available while stocks last. If you want a tailor-made collection contact us on 065 689 0011. Invest in your skin - it's worth it! Yes, it's true. Milo never had nappy rash! 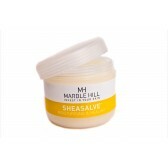 Thanks to the use of Marble Hill's SheaSalve moisturising body butter. SheaSalve features Shea Butter which soothes irritating and chapped skin moisturising the epidermis and soothes aching joints. It also helps to protect skin against climate and UV damage, prevents wrinkle formation . 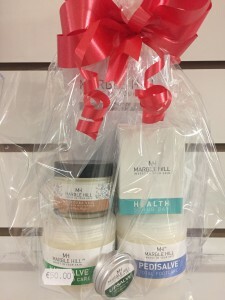 Marble Hill products join the Carestore product line up. 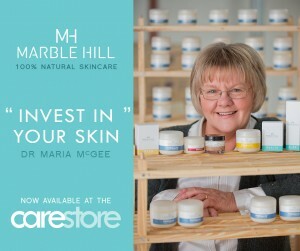 Quality, 100% natural products they simply are a great investment for your skin. From the range, SheaSalve, is an excellent everyday moisturiser containing anti-ageing and anti-wrinkle properties. The soothing formula is highly effective for revitalising and moisturising dry or hardened skin. The concentrated formula lasts four times longer than other water based creams! Clinically tested. Recommended by Dermatologists. 100% organic, vegan and fair-trade. BEURER - Germany's number one manufacturer of health, beauty and well-being products since 1919 is now available from the carestore. 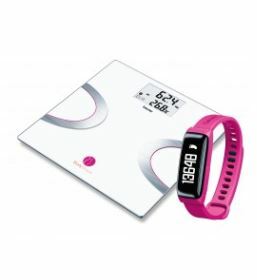 Their Medical Product group specialise in health, prevention & diagnosis, flexible heating and weighing scales. Check out the range in our Health & Exercise tab. DAZA - Europe's leading developers and manufacturers of bed fall prevention systems has introduced a wireless early warning system that alerts caring personnel to movement of an individual within a bedroom or care environment. No cables or mats to trip over, no loud alarms to startle the room's occupant. Carestore offer the complete range of DAZA product with home systems from only €550! Carestore has a new range of high back seating products that can be made to measure. This means improved ergonomics for the user resulting in greater comfort, posture correct positioning and ease of getting out of the chair. The range comes complete with a wide range of fabric colours allowing the chair to blend in with existing furniture. Research studies have shown that colour can have a very special influence within our care environments contributing to improved patient recovery and wellbeing. The Carestore stocks a broad range of vibrant, coloured beakers, plates, bowls and pitchers. Designed to have all the practical user features with a splash of colour. Also in stock is our alzheimer dinner set.